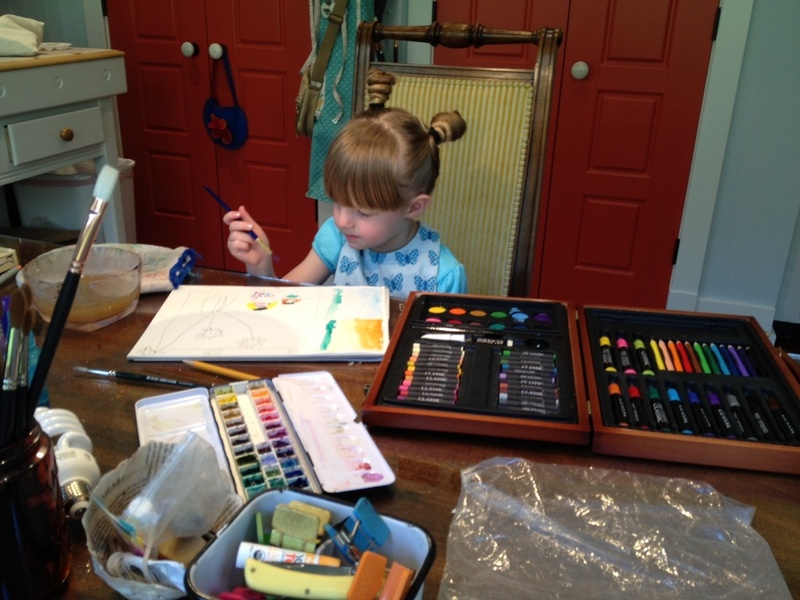 My beautiful niece, Hannah, comes over to have paint days with her Aunt Sandi. We try to do some kind of art lesson together. 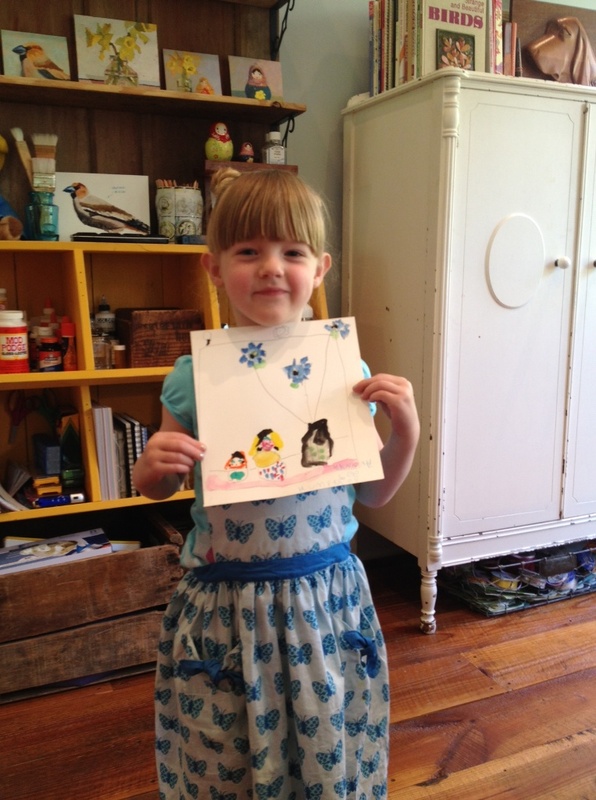 She’s very talented and loves to do art! 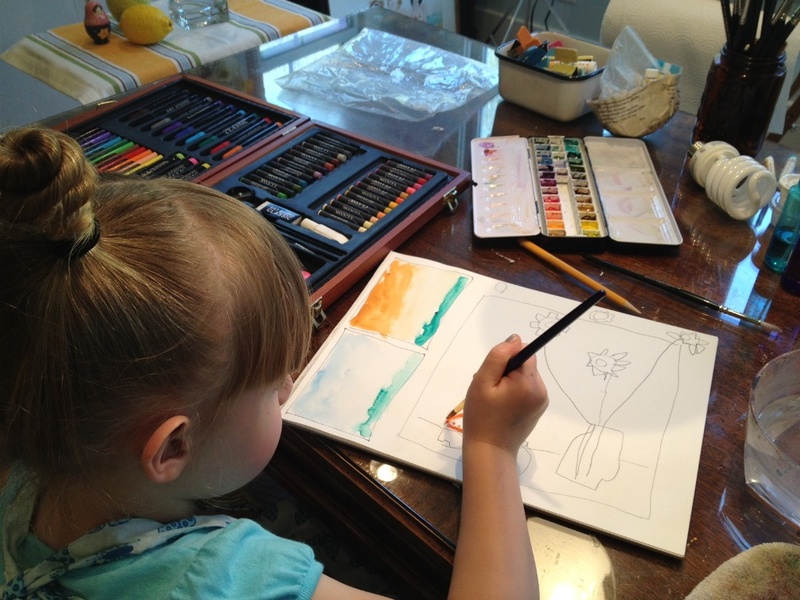 The last two lesson’s I’ve taught her how to set up a still life to paint and then we work on lessons revolving around a still life set-up – like deciding what simple shapes we can break the objects down into (like a circle, square, etc.). 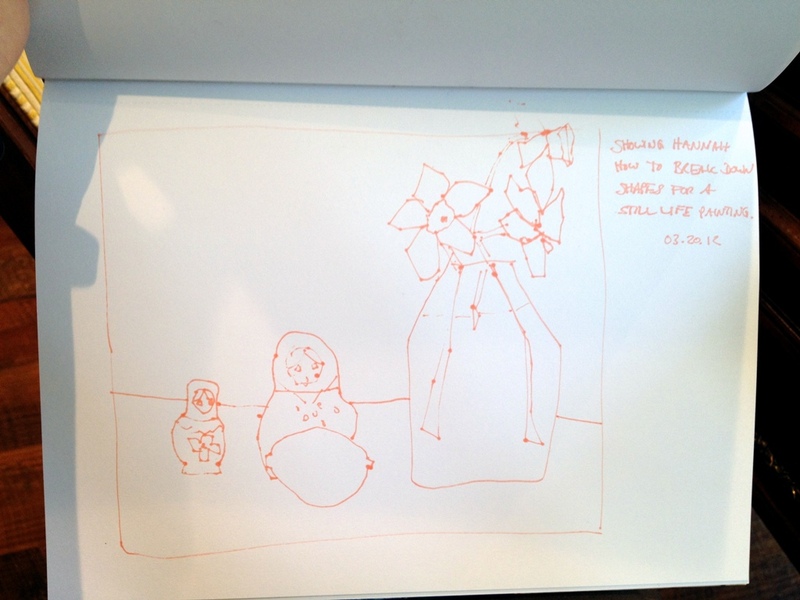 You can see the still life set-up we did (mostly designed by Hannah herself) and the quick sketch I did for her to help her see the size and simple shapes the objects can be when put down on paper. She did a great job, but more importantly she had a blast painting. The first time we ever did a still life she spent more time setting up her still life than anything else – she really liked designing it. It was really cute! 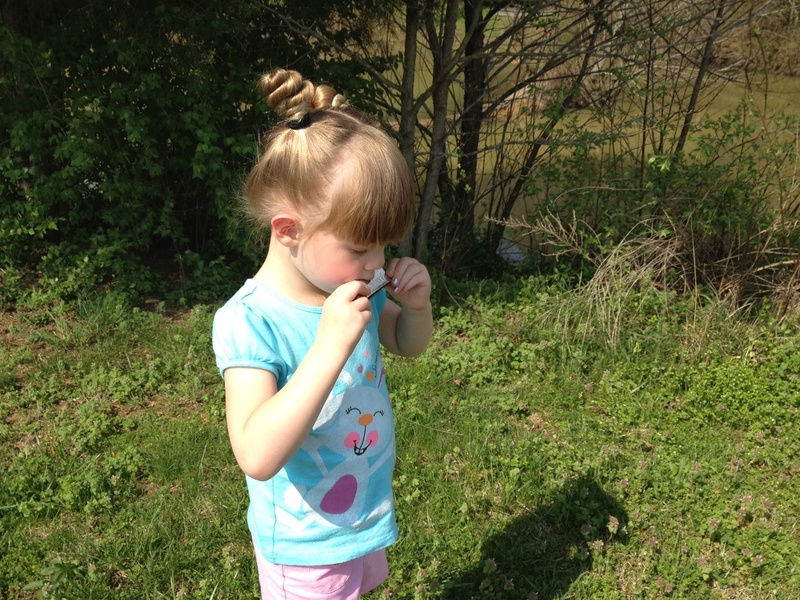 So, after our painting time we went out to the pond to visit our geese and feed them. 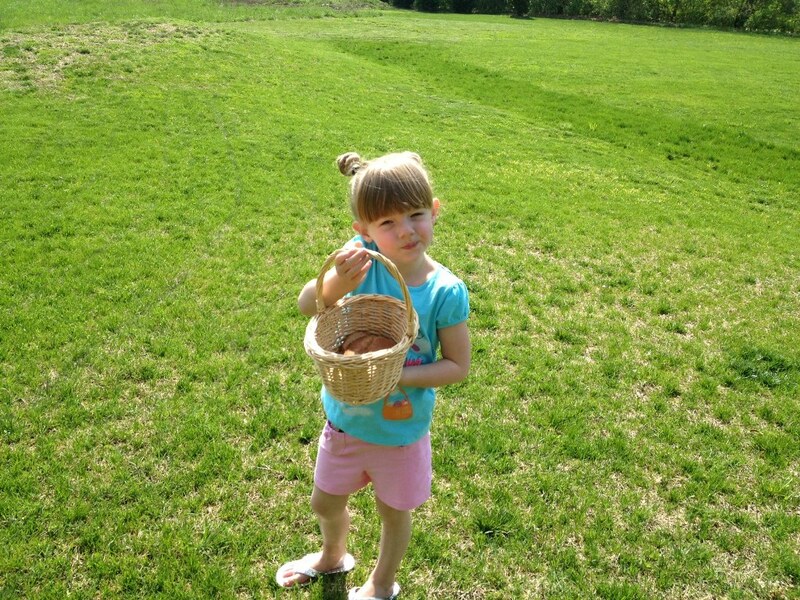 Hannah wanted to carry her bread in a cute little basket and she wanted to take the harmonica to serenade the geese. The last photo really captures how she was feeling when she was “playing” a song for the geese – she wanted to play very softly for the momma goose because momma was on her nest and Hannah didn’t want to scare her. It was a wonderful day and I wanted to share a little bit of it here with you guys. 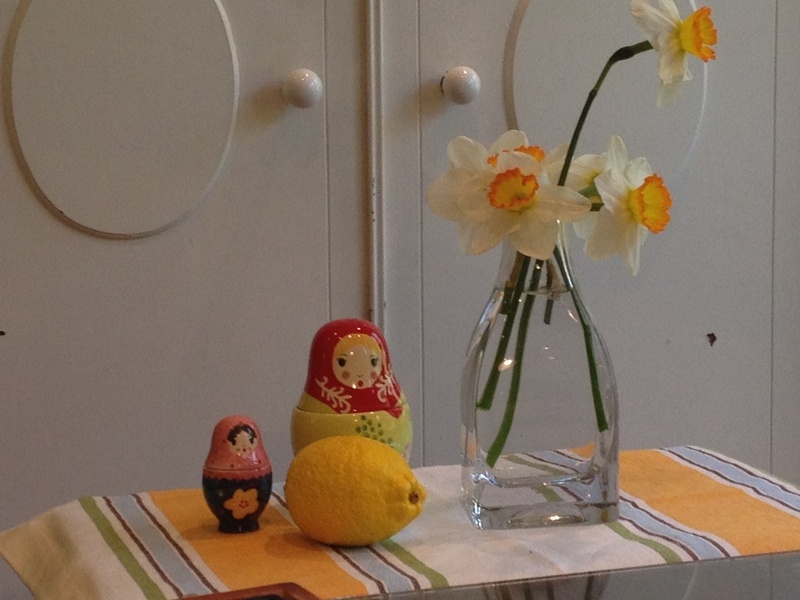 You can also see little glimpses of my art room in the pictures – hint hint – next post has to do with the art room. Please click on the pictures above to see them larger. 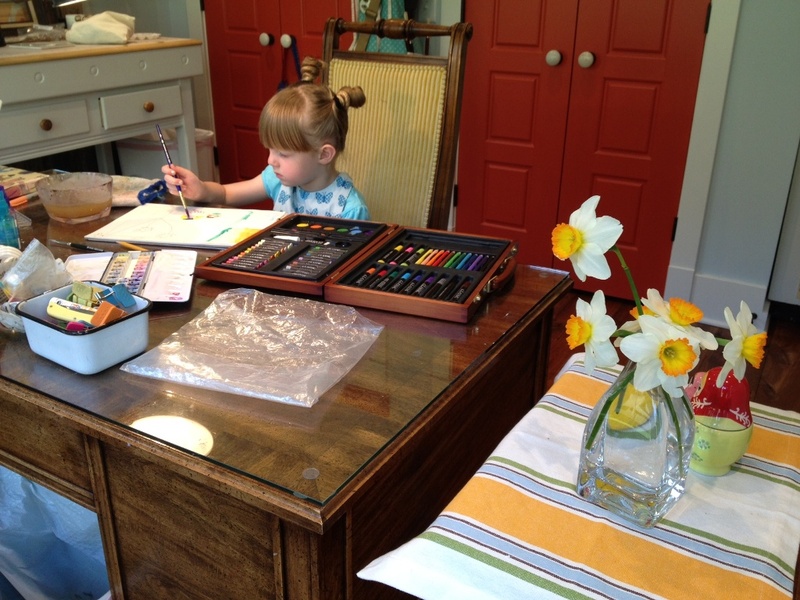 What a sweet story about Hannah spending time painting with her Aunt Sandi. Love it. 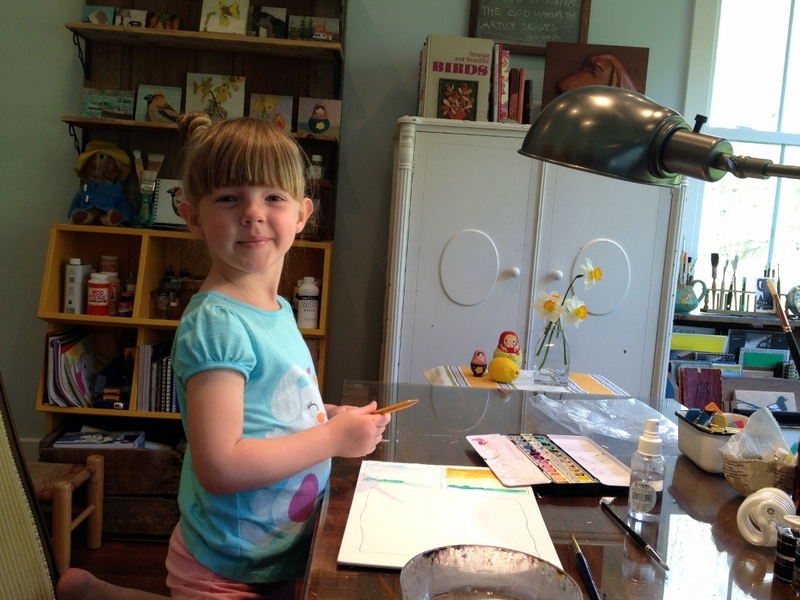 What a precious little artist and how blessed you are to have her to share your love of art. Thanks for sharing.